Often, conversations about vocational training and young people entering the trades include the comment, “College isn’t right for everyone.” I’m sure that I’ve muttered those words myself, in just that context. Recently however, I’ve had some experiences that revealed the cracks in the logic that because someone is not interested in a more modern college degree, the trades would be a good place for them—or the opposite, that a four-year degree isn’t useful to someone who hopes to work with their hands. 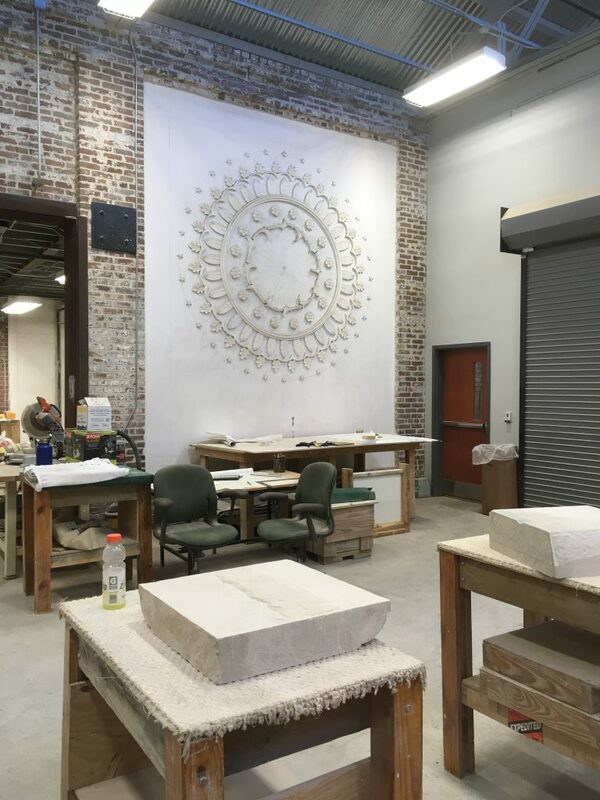 One of those experiences was a visit to the American College of the Building Arts, an institution that challenges the notion that a four-year college degree and a hands-on training in the trades are mutually exclusive. 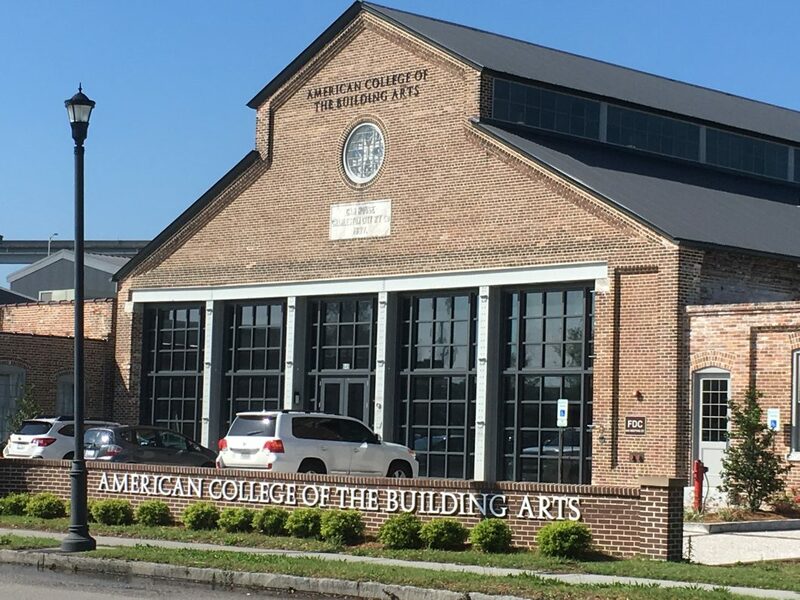 The American College of the Building Arts (ACBA) was founded in 1989 after Hurricane Huge tore apart the South Carolina coast. Leigh Handal, who showed me around the school’s Charleston campus, told me that Hugo left many of Charleston’s historic homes in need of architects, carpenters, plasterers, blacksmiths, and masons with the knowledge and skills to repair and replicate traditional details. As it turned out, few could be found. 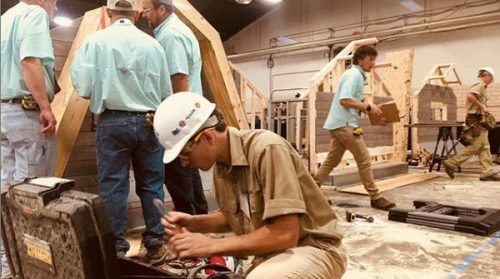 It was a local, grass-roots movement to train a new generation of tradespeople in these traditional building skills that ultimately evolved into ACBA. 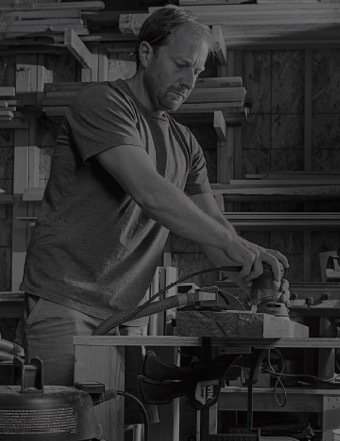 The school is now a fully-accredited college offering four-year, bachelor of applied science degrees in architectural carpentry, architectural stone carving, classical architecture, forged architectural ironwork, masonry, plasterwork, and timber framing. ACBA also offers associate degrees in ironwork, masonry, and woodworking. On the tour, Leigh first showed me what looked like a pretty common classroom with desks and chairs and explained that all students at ACBA take a full curriculum of Liberal arts classes including English, math, sciences, humanities, and foreign languages. The professors do often bring architecture, building, and craft to these courses in innovative and creative ways, she said. One English professor, for example, not only teaches Shakespeare, but about the design of the Globe Theater. 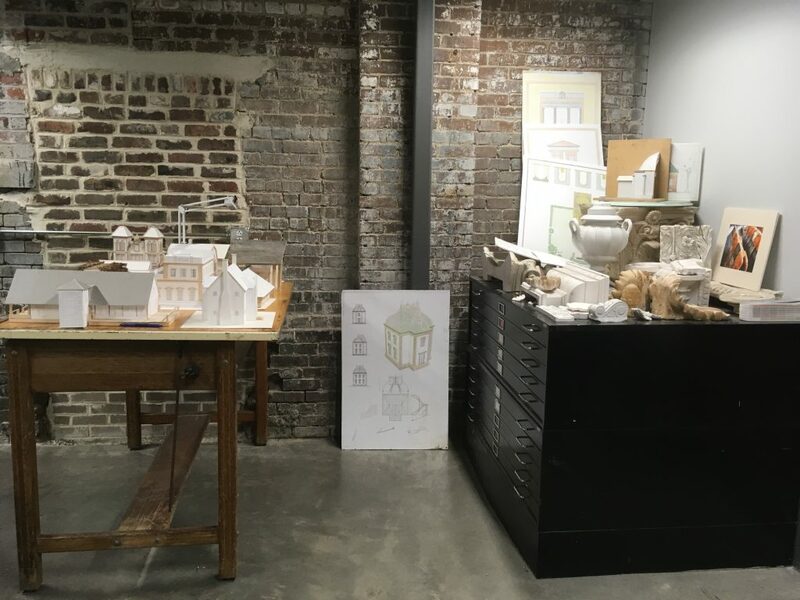 Student work in an architectural drawing and model making classroom at the American College of Building Arts in Charleston, SC. Next, we saw the rooms where students learned to draw on traditional drafting tables. All students are required to learn to create architectural drawings by hand before they learn to use CAD, Leigh explained. So, all graduates can generate, read, and work from a set of plans, whether done by hand or on a computer. We also saw a science room that she said was a gift from Boeing, where students learned wood-, metal-, and other material-sciences. Finally, we saw the stone, plaster, and masonry shop, the woodshop, and the blacksmithing shop. While the shops themselves were impressive, with woodworking benches, hand tools, anvils, and modern machines just begging for a novice or experienced craftsman to walk up, pick them up, turn them on, and do great work, what was more impressive was seeing the students’ projects in progress. While my eyes jumped excitedly to the replica of a historic plaster ceiling, a conical timber-framed roof, and ornate iron railings, mostly the work of seniors, it is the result of a thoughtfully staged education that allows students to build such masterpieces. 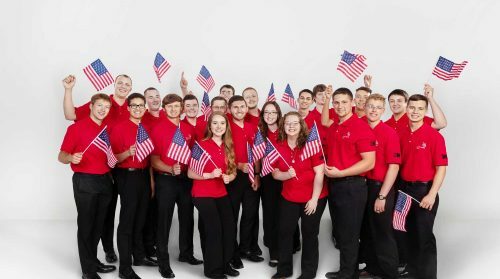 Along with their classroom and studio time, students spend 10 to 15 hours each week in the shop of their respective trades, plus the time they need to practice skills or complete a project. 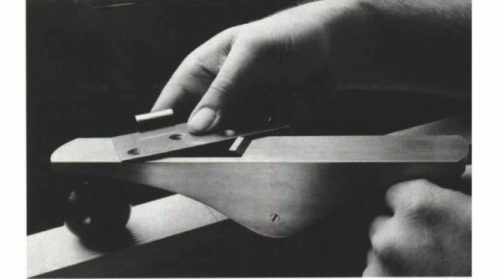 They learn to sharpen tools before they learn to use them, to do things with hand tools before they learn to use power tools, and in some cases, to make tools that they can’t buy. They have to demonstrate proficiency in certain areas, like generating classical architectural drawings, laying up a brick wall, framing a winder stair, or forging a refined coat hook before they can move forward in their program or graduate. In the plaster and stone-carving shop, students recreate plaster details often found on the ceilings of historic homes. I had the pleasure of spending time with two department chairs during my visit to ACBA. Jack Brubaker, the chair of the blacksmithing program was a full-time artisan blacksmith for almost 50 years before he came to ACBA to teach. Jack has bachelor’s and master’s degrees in fine art and operated a successful blacksmith shop in Bloomington, IN. for many years. He’s taught for the Artist Blacksmith Association of North America, of which he was president in 1984. He has also taught for the British Artist Blacksmith Association and lectured at the World Congress. Jack is thrilled to be using his retirement to pass along what he has learned over a celebrated career. Bruno Sutter, the chair of the woodworking program is a “graduate” of France’s Compagnons du Devoir, a prestigious network of tradespeople who train future generations through a 10-year program that includes full-time employment in a field of work, evening classroom time, and weekend shop training. Bruno explained that you don’t really graduate from the Compagnons du Devoir—he has no diploma—though many do not successfully complete the training, which is as much about communal living and building character as it is mastering your trade. A new forge in the blacksmith shop was designed for efficiency. 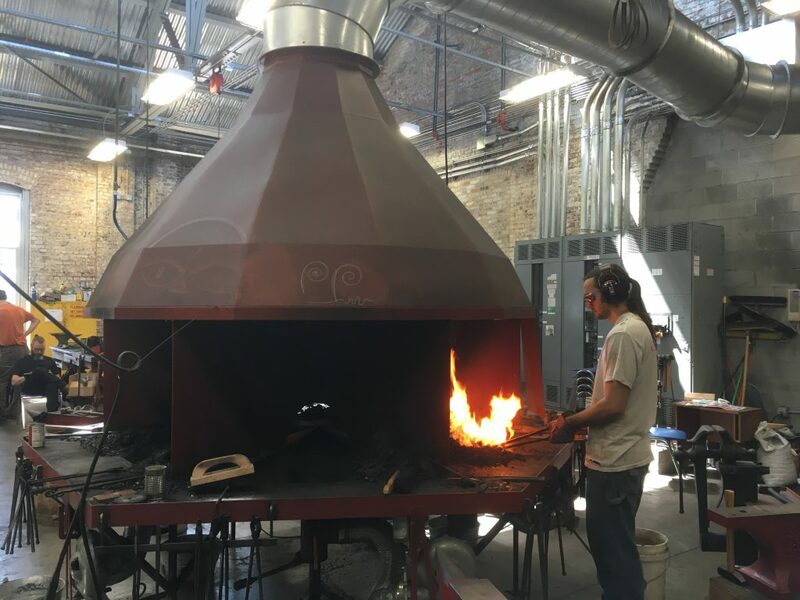 Six students can work around this forge at once. Bruno was brought to ACBA to help create an American version of his training, which meant figuring out how to squeeze it into four years. One aspect of training he feels is important is an introduction to entrepreneurial skills. Bruno’s seniors are required to develop an in-depth plan for the business they would eventually like to operate. The detailed plan must include a set of architectural plans for the shop they will need. Many ACBA graduates do end up working for themselves. All end up working. A recent survey of three ACBA graduating classes revealed that 100% of graduates are employed in their field of study. Leigh explained this early in my visit to the school. After seeing the facility, learning how rigorous the program is, seeing the students’ work, and chatting with a few well-qualified instructors, I’m not surprised at all.